Last Date for Applications 11.08.2018. 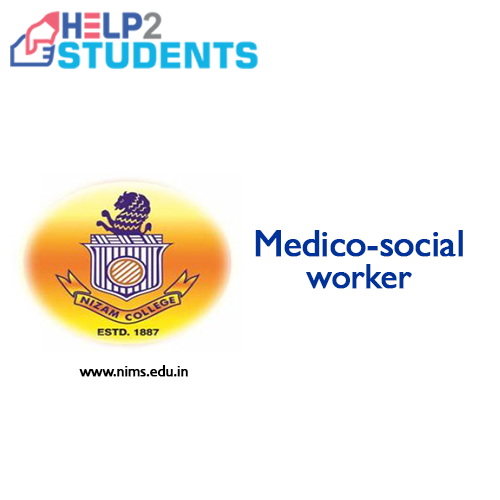 Medico-social worker – Posts 1. Interview Date: Interview Date will be commenced to the candidate through Phone/Email to the Shortlisted Candidates. Eligible candidates can apply to the post through the prescribed format and send the applications along with other necessary documents to Dean’s Office, Nizam’s Institute of Medical Sciences, Punjagutta, Hyderabad- 500082 on 11 August 2018.